CATALOG: How do I save a search? You can run a search in the Catalog and save it. 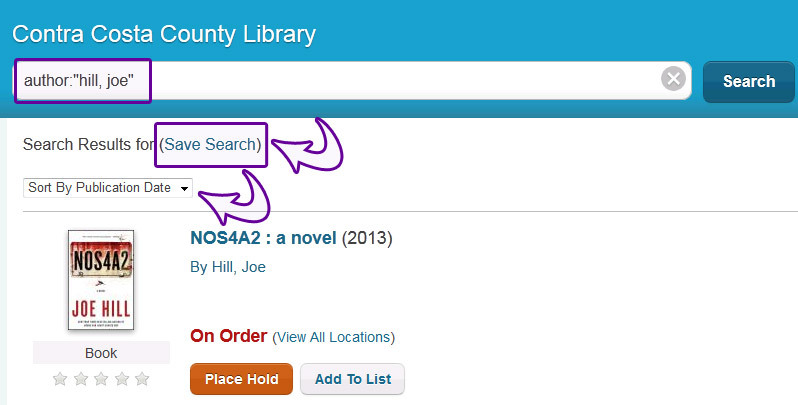 Items that are added to or deleted from the catalog matching your search will update your search results. Save as many searches as you like and share them via RSS. 3. Type a name for the search and click "save." You'll see the green confirmation bar at the top of the page, for a few seconds. 4. Access your searches by clicking the "saved searches" button at the top of your account page. 5. Click the search name to run the search. 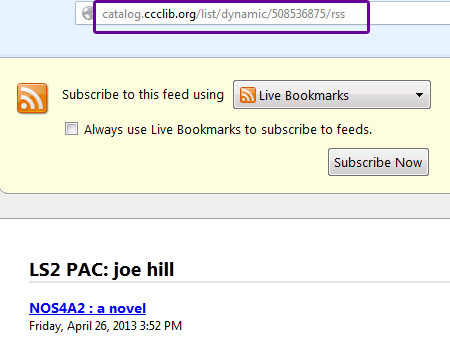 Click the orange RSS icon to get a URL that you can share by email or subscribe to in your RSS reader.